The territory of Podenzana is rich of numerous residential villages, all saving the characteristic features of their Medieval original building. Numerous castles characterize the territory and dominate the valleys below. They are the result of considerable rebuilding excuted by using original material in order to restore their original aspect. Very interesting to visit is also the locality of Virgoletta, showing a typically Medieval urban plant, equipped with a main road along which the village develops. In the very heart of the historic centre rises the Saint Gervasio and Protasio Church, to whose inside a precious altar decorated with bass-relieves and a marble-made tryptich are saved. Also the Romanic architecture of other religious buildings of Podenzana is very interesting to see. 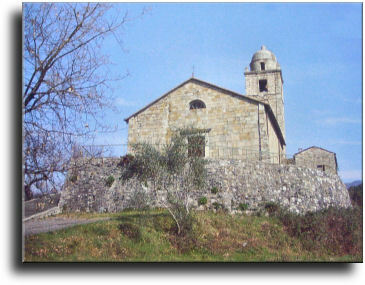 The Our Lady of the Snow Sanctuary, whose building goes back to the XVII-th century, is a particularly suggestive place where, according to the tradition, the Our Lady appeared and for this reason it is still today a very attended pilgrimage destination.